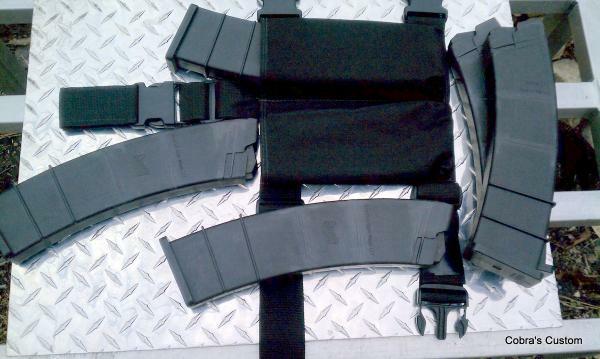 I modded these mags for a customer because he was having problems with the ribs on the sides catching on the hem of his mag pouch in competitions, thus costing him extra time. Additionally I smoothed and polished them around the portion that fits inside his JTE magwell. Now they will drop free as the release is pressed...when before he had to knock them free with the next mag as he also used it to hit the mag catch. He added a JTE extended mag catch but still was having to knock the mags out of the way to insert fresh ones. Now it's as easy as press the release and quickly slap another mag in with no extra hassles, and the mags go in and out of the pouch without any hanging up. If anyone without the means to do this would like theirs done this way, PM us and let us know. Price per mag is $20 + shipping.